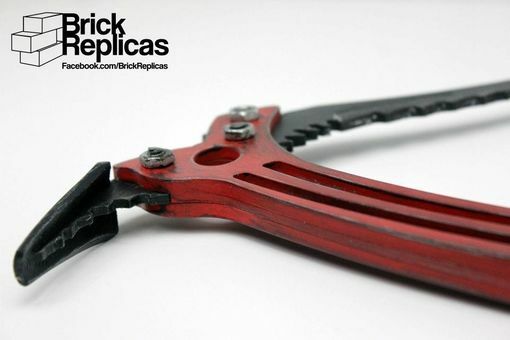 This is a pick-axe that we made per custom request. 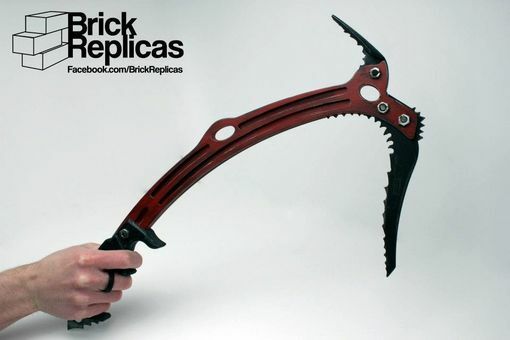 It is a replica of a climbing pick-axe seen in the newest "Tomb Raider" game. 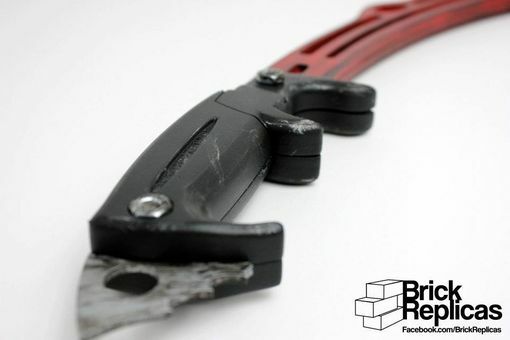 The pick-axe is made of a combination of 3d printed PLA plastic and acrylic components. 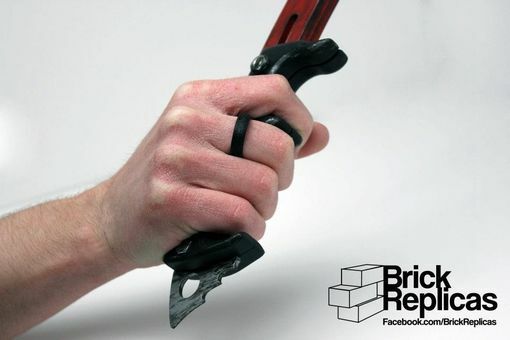 The pick-axe was made to be used as a prop for cosplaying Lara Croft.